I wondered if I would encounter anything paranormal in the daylight hours. 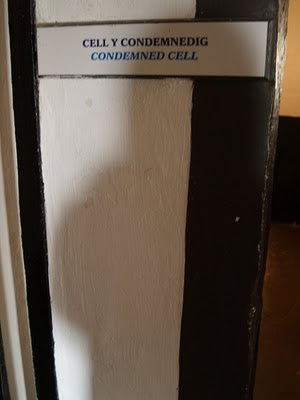 What would await us in the punishment cell, would we be confronted with the active spirit that allegedly haunts the condemned cell? Would we see ghostly legs on the old tread wheel outside? Did we feel any nervous tension as we made our not so final walk to the scaffold? Would I pick up on any female spirits in the workhouse, tugging away at the rope rocking the baby’s cradle above? And would we come face to face with the infamous warder Watkins as we descended the iron staircase? 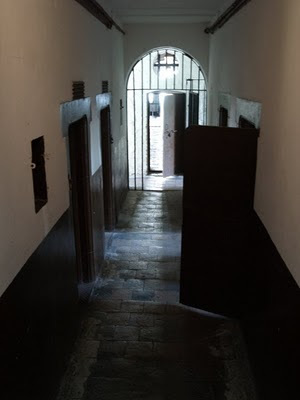 Alleged activity: Flashing lights, hair being pulled, stones being thrown, doors banging, floating shadows in corridors, keys rattling and heavy footsteps, a sense of presence and strange musty and sweet smells. Unfortunately we didn't witness anything out of the ordinary, it was great to practically have the whole place to ourselves! Pity the old codger didnt turn up lol, neither did the alleged grounded spirit who was once hanged here. Still, I would love to wander round the place in the dark, yes on my own! reflected off it creating this eerie ghostly effect. 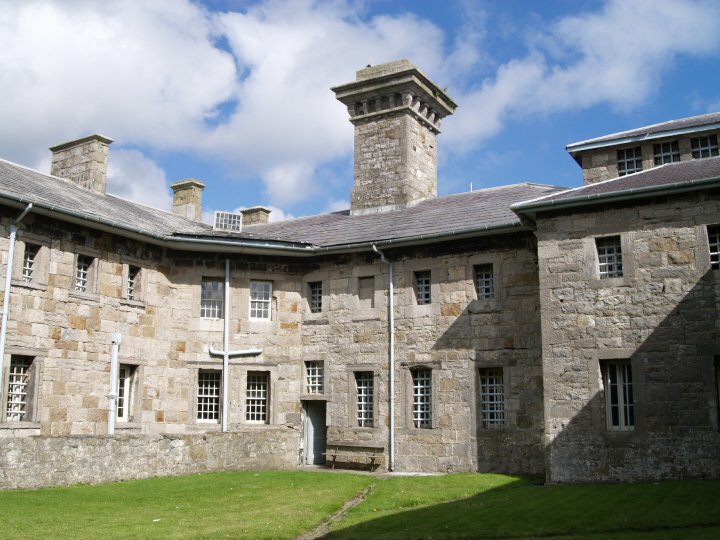 Beaumaris Gaol is a disused jail located in Beaumaris, Anglesey, Wales. It remains largely unaltered and is now a museum. 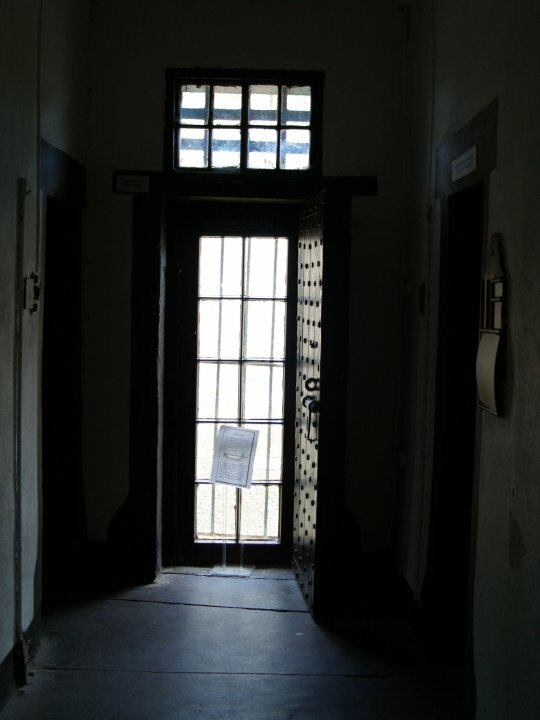 The jail was built in 1829.It was expanded in 1867 to accommodate approximately 30 inmates but was closed just 11 years later. The building then became a police station until the 1950s when it became, oddly, a children's clinic and lastly a museum in 1974. During the Second World War the town's air raid siren was located in the gaol and was kept in operation during the Cold War in case of nuclear attacks. The prison regime may appear brutal to a modern visitor, but in its day it was seen as humane improvement on earlier gaols. 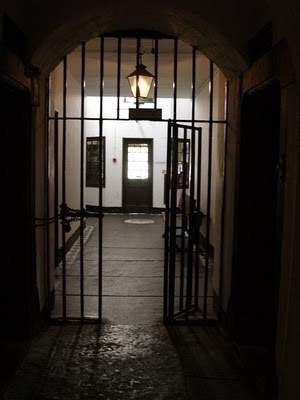 Even so, methods of keeping criminals in check included chains, whippings and isolation in a dark cell for up to three days. It has one of the last working treadmills in Britain. The treadmill at Beaumaris is unusual in that it pumped water to the top of the building for use in the cells, meaning that the prisoners were not forced to work for no reason. 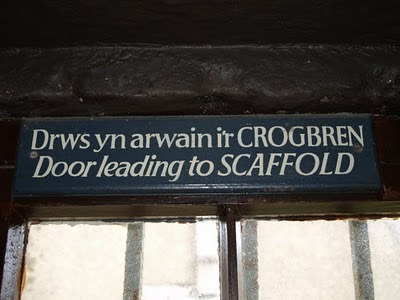 Only two hangings took place at Beaumaris. The first was that of William Griffith, in 1830, for the attempted murder of his first wife. He reacted badly to the news that he was to hang and on the morning of his execution, barricaded himself inside the cell. The door was eventually forced open and he was half dragged and half carried to the gibbet. The second and final execution was that of Richard Rowlands in 1862, having been found guilty of murdering his father in law. He protested his innocence right up to the final moment and legend has is that he cursed the church clock from the gallows, saying that if he were innocent the four faces of the nearby church clock would never show the same time. Indeed for a while they did not, although this has been attributed to the wind buffeting the southern face. 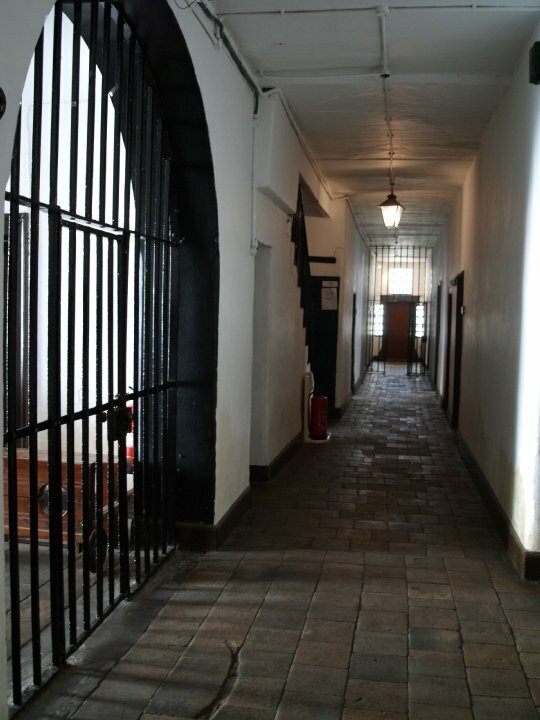 Both men were buried in within the walls of the gaol in a lime pit, but the exact location of their burial is unknown. 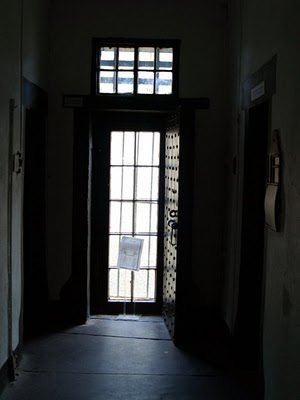 The metal rivets which held the gibbet in place, along with the two doors which the condemned man passed through can still be seen from the street outside the Gaol walls. 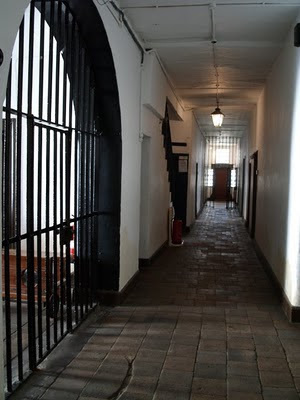 Throughout its time as a gaol there was only one instance of a prisoner escaping. 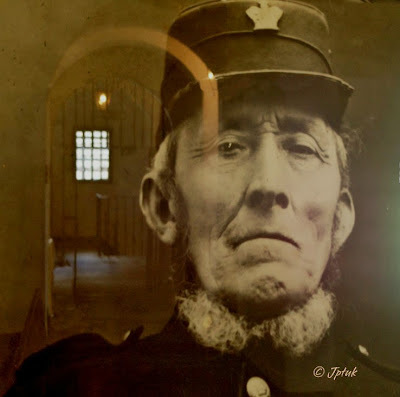 The prisoner, John Morris, escaped on 7 January 1859, using rope he had stolen whilst working with it. Although he broke his leg whilst escaping he did make it out of the town, before being recaptured. 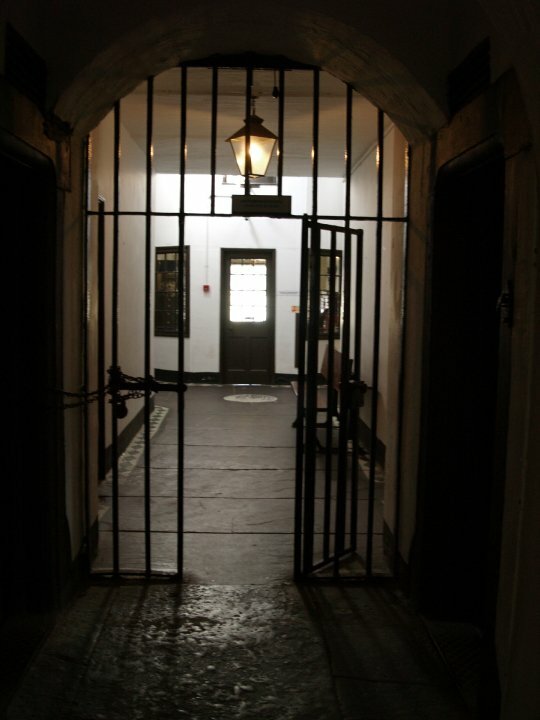 The TV series Most Haunted visited the gaol for a show aired 17 January 2007 to investigate supposed hauntings.